A Santa run along Toronto's Lakeshore! Feel like you've missed out on the Santa running experience? There's one more Santa Run this December! Option to purchase a Toronto Marlies ticket for a game after the run! Details below. Registration closes WEDNESDAY, DECEMBER 11, at 6:00 PM. 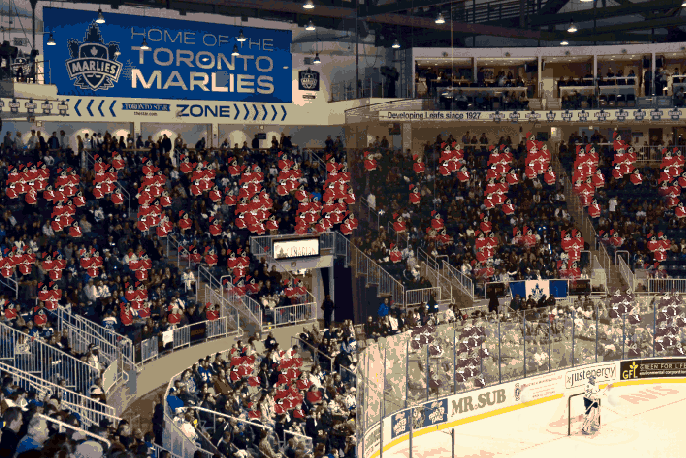 Sit with your Santa-clad friends at the Marlies game. No suit included. You've already got a suit from another race, so wear it and enjoy the discount! Registration takes place online at www.RaceRoster.com until Wednesday, December 11, 6:00 p.m. The event is capped at 1000 entrants. Registrations will be accepted at the kit pickup on event day (cash or cheque only). AWARDS will be presented to the top 3 overall Male & Female, Open & Masters (age 40 ), and to the top 3 Male & Female finishers in each age & weight category, and to 1st place in each Team Category. The top Male and Female finisher will drop the ceremonial puck at the Marlies game! Sunday, December 15 at Ontario Place Lot 1 (955 Lake Shore Boulevard West, Toronto, Ontario M6K 3B9) 11:30 a.m. - 12:30 p.m. If you are picking up a kit for someone who is not you, have them forward you the email confirmation! Or print it out if you need to. From Ontario Place lot 1, northwest along Martin Goodman trail, to turnaround point near the Boulevard Club, returning along same trail to the finish at Ontario Place. The 5 KM course is a certified and timed distance. There will be one water station on the course. Each KM will be marked. Courses are subject to change pending approvals and course certifications. The suits fit on the larger side. They come in Mens, Womens, and Childrens. Suits are assigned on a first-come, first-served basis, with no exchanges. All participants will receive a full Santa Suit which consists of a jacket, pants, hat, beard and belt, and the entire Santa Suit must be worn during the event. In the spirit of the event, any participant not wearing the full Santa Suit will be removed from further participation without refund. Please remember to keep your Santa Suit for the following years, to receive an entry fee discount. After your run, there will be music, awards, draw prizes, and some food available at the finish line. If you've selected the Marlies ticket, head over to Marlies Alley at RICOH Coliseum to enjoy the pre-game festivities! It's a 400m walk from the finish area. Cross over the Lakeshore on one of the pedestrian bridges. Thousands of Santas in the stands watching the Toronto Marlies take on the St. John's Ice Caps. It's going to be epic! Every registrant to the event receives a free ticket to the game, December 15, 2013, 3:00pm faceoff. This will set some kind of record for Santas at one professional hockey game. The male and female winners from the event will drop the puck for the ceremonial faceoff! Pledges and proceeds of this race go to support the MLSE Foundation. 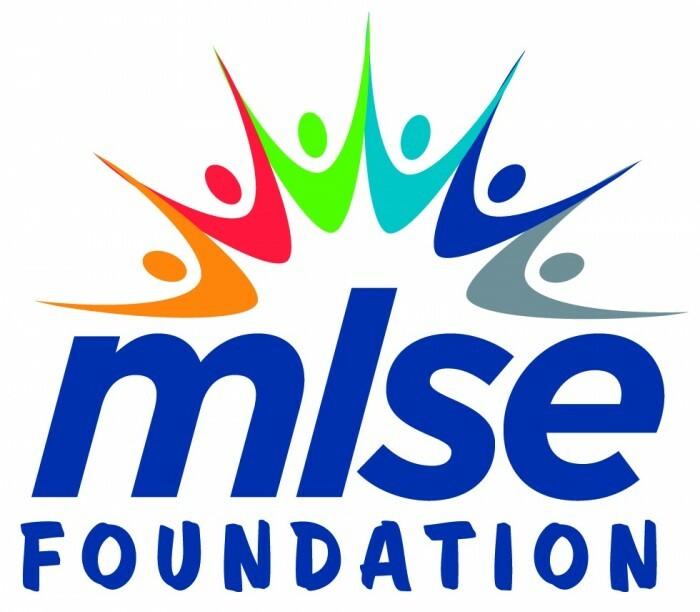 Since launching in December 2009, the MLSE Foundation has invested more than $9.5 million into our community. Last season, we impacted the lives of more than 110,000 kids.